Published on June 4, 2016 by Martyn. Be the first to comment! I’ll be sharing a stage in Leeds tomorrow (Sun 5th) with colleagues and students from Leeds Trinity University as we join forces to put on a showcase of our creative writing. No fewer than thirteen of us will be reading at the event – five students from the current Creative Writing MA cohort (Lucy Brighton, Sophie Joelle, Lewis King, Rebecca Leeming and Liz Mistry), five recent graduates (Lynn Bauman-Milner, Caroline Bond, Gill Lambert, Maria Stephenson and Hannah Stone) and the MA’s three tutors (me, Amina Alyal and Oz Hardwick). The readings will be mix of prose and poetry – I’ll be reading my latest short story, “The Wrong Coat”, which is included in the newly launched 2016 Leeds Trinity anthology Journeys: A Space for Words, published in May by Indigo Dreams Publishing. The event will be a celebration of the writing to have emerged from the course, which was only established in 2013 but has already seen a number of its students enjoy publication success for their poetry and short-story collections and novels. Tomorrow’s event is part of the 2016 Leeds Big Bookend Festival: “Crossing City Limits”, and is taking place at 3.30pm at the Outlaws Yacht Club, 38 New York Street, Leeds, LS2 7DY (just behind the bus station.) Admission is free. 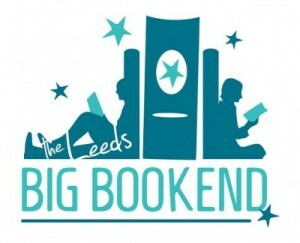 For the full Big Bookend programme please follow this link to the festival website.